Two weeks ago, on April 13, the Infocomm Media Development Authority (IMDA) announced its partnership with the Ministry of Education (MOE) to introduce digital making to schools over the course of the next two years. 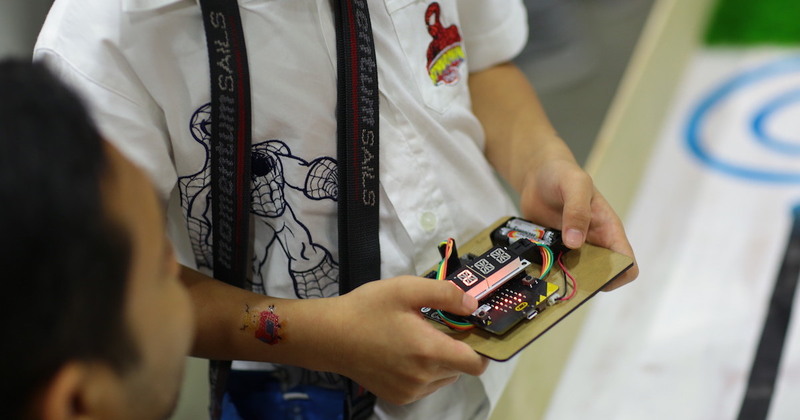 As part of this initiative, primary and secondary school students will each be given a micro:bit, a pocket-sized, codeable microcontroller with various features like motion detection and Bluetooth technology. This device is already implemented in Britain schools to help teach coding and inspire interest in STEM (Science, Technology, Engineering and Mathematics) subjects. 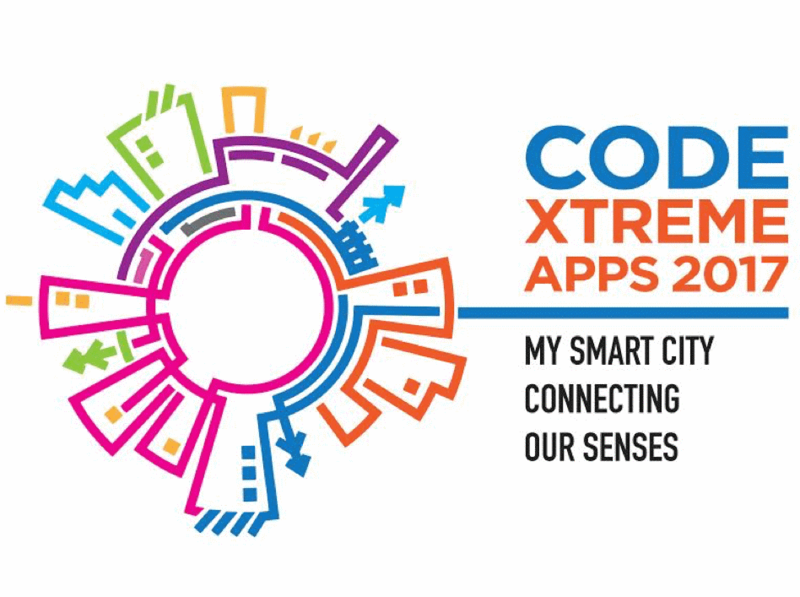 This micro:bit will also be integrated in IMDA’s upcoming Code::XtremeApps:: (CXA) hackathon – jointly organised with the IT Standards Committee – which aims to challenge minds and inspire innovative solutions to solve everyday problems. This year, the annual hackathon will revolve around a Smart City theme, focusing on the sharing of Internet of Things (IoT) sensors and data. Participants will be challenged to solve real-world problems from organisations across various sectors – Cyber Security Agency of Singapore (CSA), PSA Singapore and Suntec City – through IoT technology and standards. The competition will take place on July 14 and 15, and will consist of three main tracks – a 24-hour School and Open Category, as well as a 3-hour Junior Category to get the young ones interested and exposed to tech and inventing. This category will feature a 24-hour hackathon where participants are required to develop solutions within 24 hours. It is open to students from secondary to pre-university (or equivalent) levels. But unlike previous years, additional time will be given to participants prior to the 24-hour final hackathon. The challenge statements will be released 6 weeks prior, allowing participants to have the opportunity to develop better and more holistic solutions. The set of challenges for the School Category will be released on 2 June, 6 weeks before the start of the code::XtremeApps:: 2017 School Category hackathon on Friday to Saturday, 14 – 15 July. Pre-event activities will include IoT training sessions, challenge statement briefings and even specially-arranged port visits organised by PSA Singapore. Teams will be encouraged to build solutions using technologies such as a standards-based platform to share data; and each team will be required to complete at least one challenge statement. The top three teams will win prizes worth $4,500. Similar to the School category, the Open category also involves a 24-hour hackathon – but it’s open to enthusiasts of all ages. The top three teams will win cash prizes worth $18,000. All open category teams that qualify to the finals will also be eligible for the special book prizes. A special Security by Design prize – cash worth $1,000 sponsored by the Cyber Security Agency of Singapore – will be awarded to the team that best demonstrates their approach and implementation of ‘Security by Design’, or how it has incorporated security considerations upfront in the design of their project. Additionally, a Best & Innovative by Design prize, sponsored by PSA Singapore for tackling their problem statement, will be awarded to the team that best demonstrates anything that is new, useful, and valuable in terms of increasing revenues, reduced costs or both, will be awarded with $2000 cash prizes. In line with IMDA’s Digital Maker programme to nurture a new generation of digital natives, the CXA is extending this competition to the primary school students as well. This Junior category will feature a three-hour competition using micro:bit to create solutions to solve a challenge. This will allow them to learn basic coding in a fun and education way, and at the same time, teach them how to apply it to solve daily problems. Prior to the competition, the participants can attend micro:bit training workshops to help them gain the foundation skills to tackle the challenge at the hackathon. The top three teams will stand a chance to win $3,600 worth of gadgets, and every participant will get to bring home a micro:bit at the end of the competition. The hackathon offers a month of various training classes to help ensure participants understand how to use the technology before the competition. These classes – catered for different levels – range from programming and coding to hands-on sessions with emerging technologies such as the cloud, open data, robotics or the Internet of Things. It enables budding and current developers the perfect opportunity to share and learn more, as well as develop the seeds of innovative solutions. Vivian Balakrishnan, the Minister-in-Charge of the Smart Nation Programme Office, has described hackathons as a “key inflection point” of the Smart Nation initiative. According to him, such events allow the creation of a Singapore where everyone can participate in generating solutions for the country with much higher levels of trust due to the sharing of data freely, openly and in real time. You can learn more about the competition and register for it here.